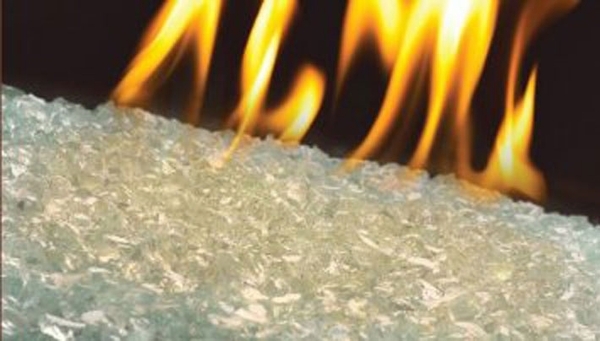 Heighten the beauty of your fireplace or fireplace insert with these clear glass embers. Meant to replace or amplify the clear glass embers that often come with Napoleon fireplaces, the glass embers are as sturdy as they are beautiful, and add a truly evocative glow to any fireplace where they're used. Trust Napoleon for the most dependable, most beautiful fireplaces and fireplace accessories you can find online or anywhere else. Is it better/what is the advantage of adding extra embers in addition to what comes with the fireplace? Also, which color looks best against grey tile?? It is not recommended that more embers be added than what is suggested for the burner. Against grey tile (assuming it's a light grey), I would probably suggest a darker color, like a navy, green, or reflective black. Are these embers shaped more like stones or gravel? The Napoleon Glass Ember Media Kit Clear. They are going to look more like gravel. How many pounds of glass come in the kit? Is the glass white, or does it have a tint? Is the glass reflective? The glass in this kit comes in a five-pound bag and is clear in color, with no tint. The glass does have a reflective quality to amplify the effect of the flames.